I received a message a few weeks ago from my friend Matt B. Davis of Obstacle Racing Media. He wanted to know if Gretchen and I would be interested in coming out to Ohio to check out a new race called Mud Guts & Glory. Unfortunately Gretchen was already going to the US Open in NY with our daughter Mya for the weekend, so after some creative maneuvering to find a dog sitter and my sister & brother-in-law stepping up to watch our son Michael, I was able to arrange the trip. 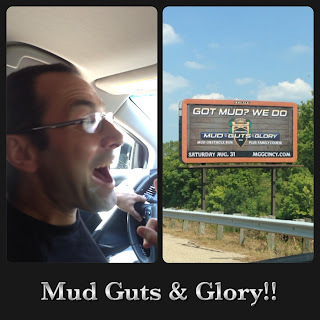 I arrived in the Cincinnati airport and quickly met up with Matt, Rob Butler of Shale Hill Adventure Farm, and Holly Joy Berkey (aka Muddy Mommy) and we were off in our rental car to Kings Domain. It was a treat to get to the race venue the day before with time to spare - not a luxury I'm used to in most races. The staff and race directors were incredibly friendly and welcoming and put us up in some very nice air conditioned cabins. The Kings Domain property we later found out is used for retreats, conferences and more importantly to help inner city children and other families in need experience the great outdoors. 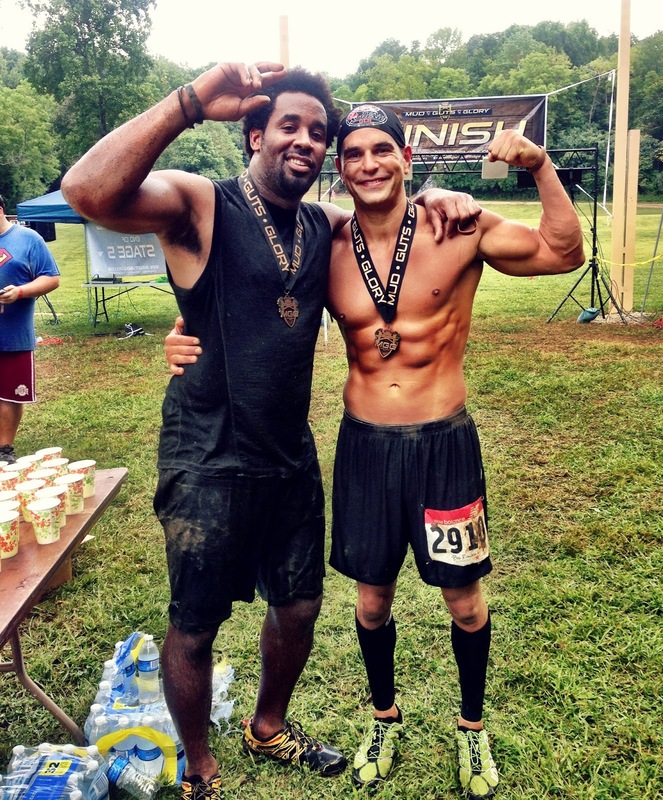 One of the founders, Brad Cousino, a former NFL MVP and all around great guy, told us that after visiting a well known obstacle race he got the idea to have one at Kings Domain. 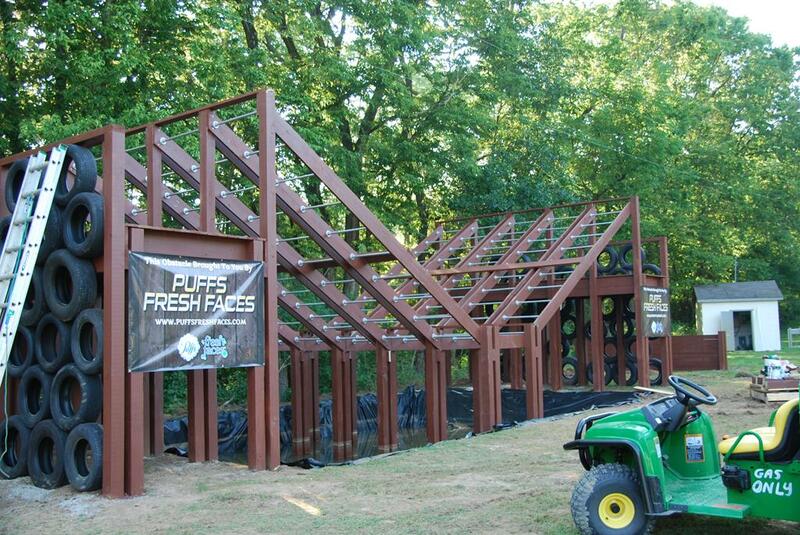 He didn't want it to be just a set up and leave obstacle race, but a permanent venue that people could train and race at. 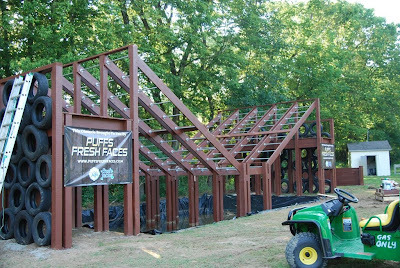 He was definitely serious about making it a permanent venue - checking out some of the obstacles allowed us to see the quality and thought that went into the creation of this race. We met the race designers and heard some pretty interesting stories about clearing the trails and building the obstacles - they even brought in an arborist to make sure the natural trees and terrain were used properly in both the trails and the obstacles. 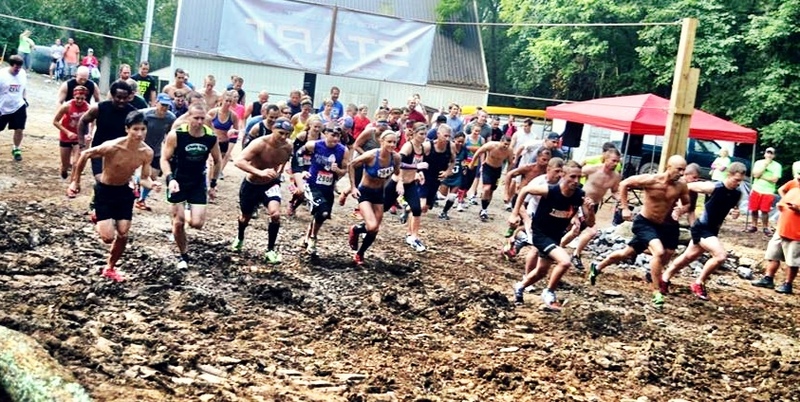 The lower portion of the property featured a series of obstacles known as the gauntlet - we were immediately drawn to them. 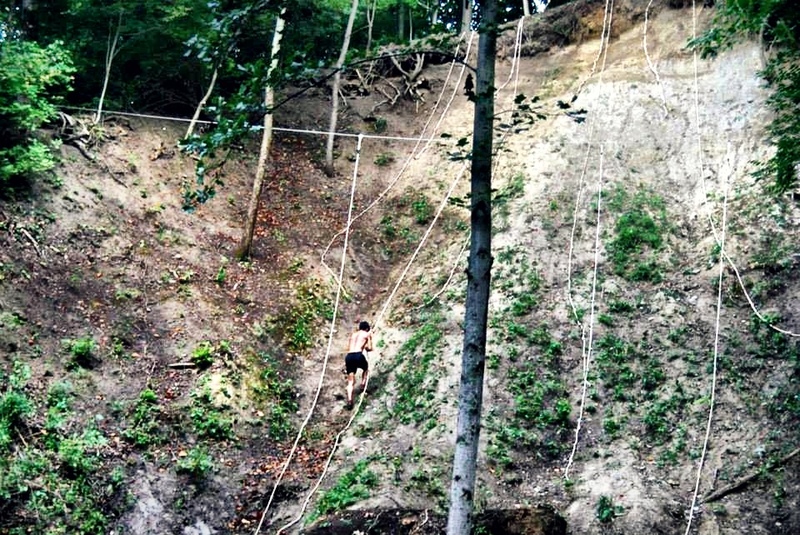 A giant set of monkey bars that started 25' off the ground and led down a 45 degree slope over a muddy moat with a short flat section and then an incredibly challenging 45 degree uphill section. It was like a playground for big kids like me! Then a series of over unders made of fresh cut trees followed by a muddy ending with a ridiculously tall tower climb that was still being painted the night before. It looked like a blast! After being shown a very small portion of the course, we were thoroughly impressed with the terrain and the thought that went into the design of this race. 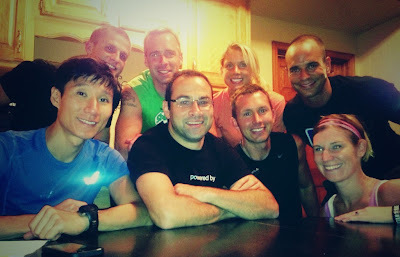 We then met up with the other racers who were also invited - Elite's like Junyong Pak (Worlds Toughest Mudder), Amelia Boone (Female Worlds Toughest Mudder), Brad Kloha (Run to Remember), Jeff Cain (On My Way to Sparta), Heather Ganoe (Relentless Forward Commotion) and Kevin Jones of the Cornfed Spartans and Crazy Mudder Muckers. The interesting thing about this race was that I really had no expectations. I was there to have a good time, and it exceeded anything I could have hoped for. To top it all off this was being filmed for a Spike TV show called Playbook 360 with Dhani Jones! As a die hard Philadelphia Eagles fan, I was very excited to meet Dhani. no. I made my way to the registration area with the guys and we got our bibs on and waivers signed. 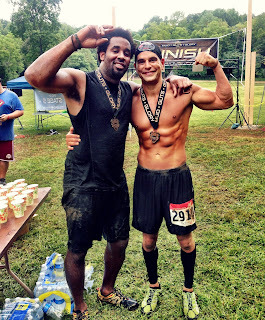 We also met some really cool Cornfed Spartans. 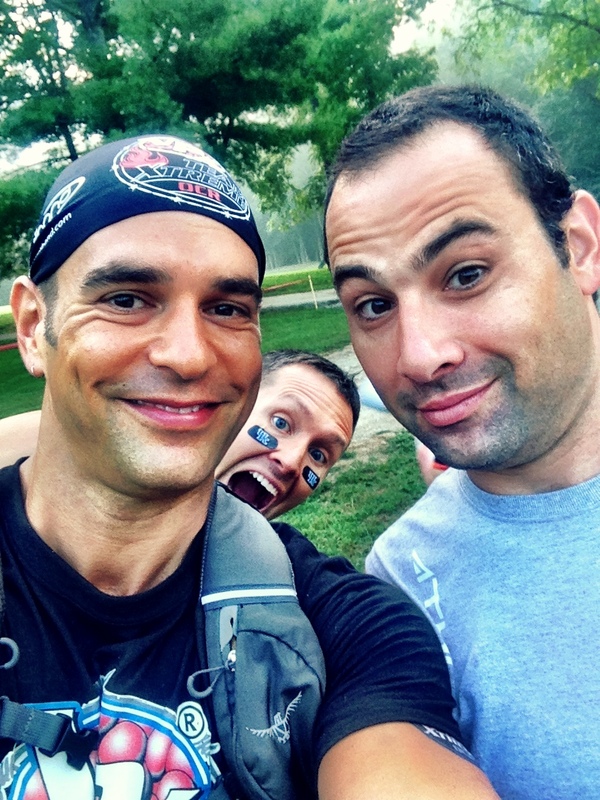 We made our way to the starting line and met up with Dhani and the rest of the crew. Where we took some pre-race photos. There was a bit of social media hype leading up to this race - I really just wanted to beat Dhani and Matt B. Davis. 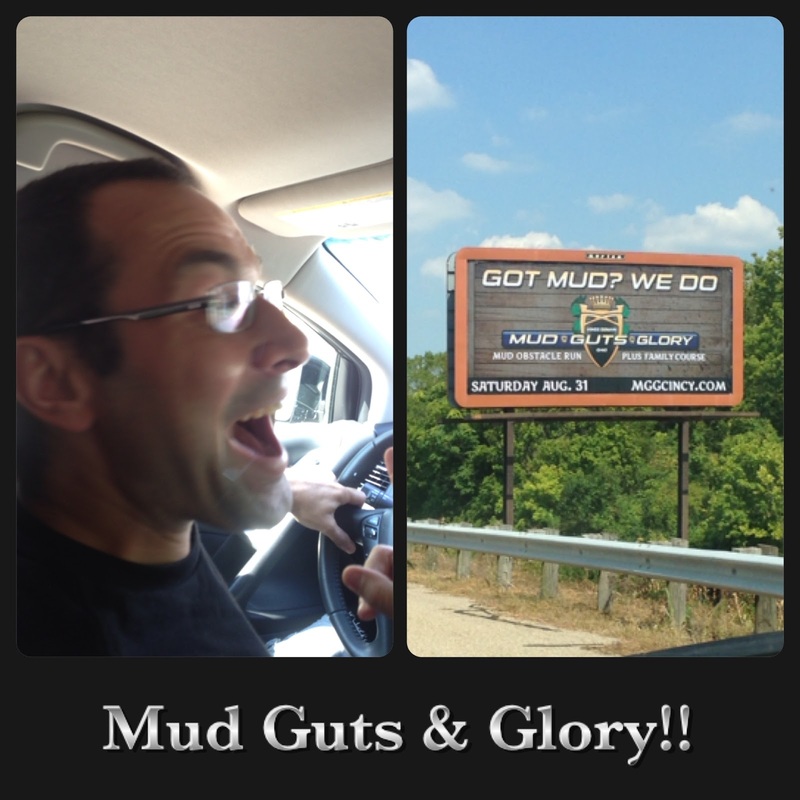 Before we knew it we heard the countdown "Mud! Guts! Glory!" and we were off. 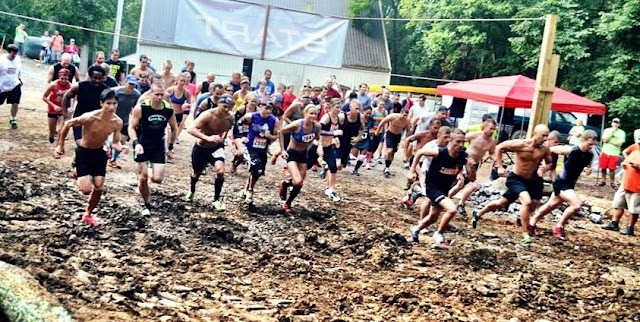 The race started in some pretty thick mud and went immediately up a steep hill. From there it's kind of a hilly blur until we hit the gauntlet about 1 mile in. I asked the volunteer if anyone had made it on the monkey bars yet since they were slippery and covered in mud and he told me that two people had (I assumed Pak & Rob Butler). That motivated me to make sure I did it as well. I used up a lot of energy on that obstacle, but I made it using only my arms. If you fail on an obstacle it was determined that there would be a time penalty added to your finish time. The course was divided into 5 one mile sections where you could essentially opt out after each section. The obstacles and terrain got more and more difficult the further you went. The terrain itself really made this a fun race - the hills were steep and long enough to be challenging, but not so long that you were ready to tear your hair out. The trails were technical but fun. The steeps were steep! There were log carries, sandbag carries, a light tractor style pull and rope climbs. 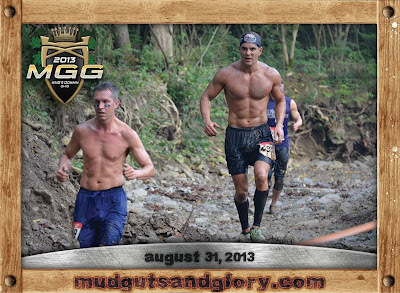 One of the really cool obstacles that no training could prepare you for was the "David & Goliath." You were given 3 paint balls and a wrist rocket sling shot where you had to hit Goliath in the head. I was pleased to hit him directly in the face on my second try - maybe my Hebrew heritage :) ? Towards the end of the race there was a crazy steep hill called "The Pinnacle." It was practically a cliff face with hanging ropes to get to the top. Then a similar hill going down with ropes on the other side. Throughout some of the forest areas I got chased by a few giant horseflies that seems to really like the taste of me - all part of the fun! The end of the course was a huge water slide dug into the side of a hill with a 100 yard sprint to the finish. I ended up with no penalties and finished 8th directly behind Jeff Cain in 7th. I had a great time. I highly recommend this race to anyone that can make the drive. Matt B. Davis rolled in about 12 minutes after I did, and Dhani came in about 25 minutes later. I was happy with my finish! 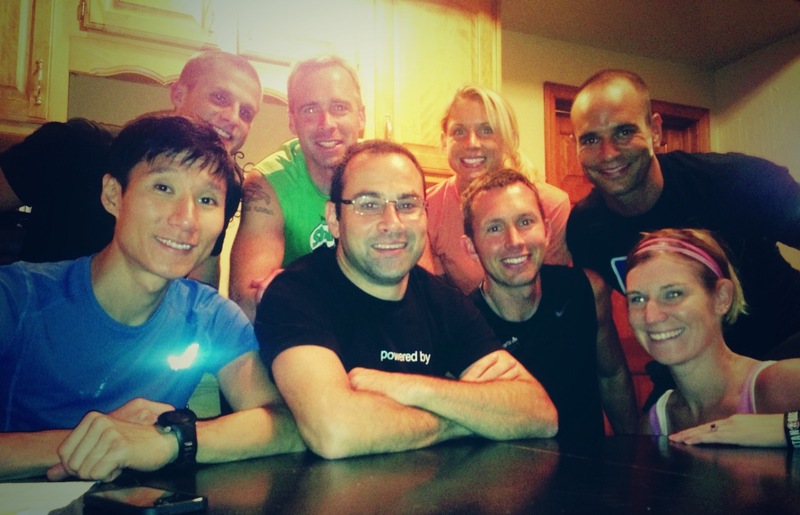 After a few interviews with the Spike TV crew and the race camera folks, we met with the race directors. 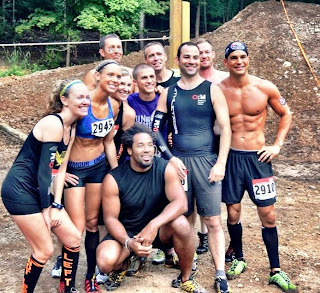 They were anxious to get our opinions as "seasoned obstacle racers" on how they could improve the course moving forward. They took all of our constructive feedback and are looking to incorporate it into future races. 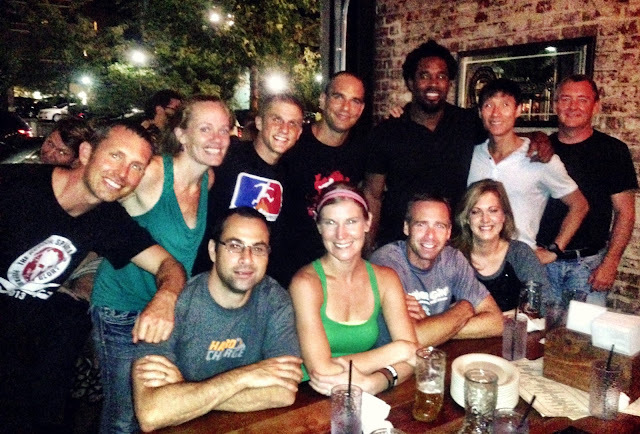 The icing on the cake after this race was that we got to hang out with Dhani that evening in downtown Cincinnati - he was incredibly generous and we had a blast! 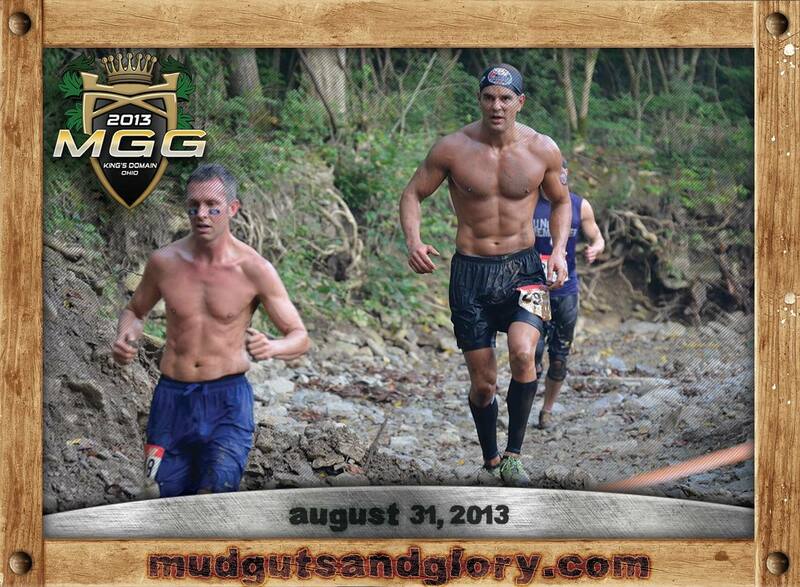 I hope to be able to compete in the next Mud Guts and Glory race on November 2nd. This time I want Gretchen to be there!